Welcome to the 24-7 Inkspiration Team! You will love being a part of this fun group. I love my team members and I love to reward you when you excel. 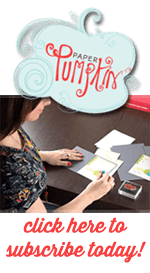 I now have a reward system in place where you’ll receive a Stampin Up gift card that you can redeem with me. $1,000 Club for the month – achieve personal sales of $1000 or higher in a single month. $2,500 Club for the Quarter – achieve personal sales of $2500 or higher for the quarter and you’ll receive one gift card (quarters are January-March, April-June, July-September, and October-December). $5,000 Club for the Quarter – achieve personal sales of $5000 or higher for the quarter and you’ll receive TWO gift cards (quarters are January-March, April-June, July-September, and October-December). Recruit a new Downline – get one gift card for each recruit. Become a Qualified Recruit (reach $900 in personal sales in your first year). Promote to a new level – get one gift card for each promotion. And anything else that deserves a little reward. These gift cards are only for my team members. You must be a part of my Downline to earn them. These gift cards are like cash. If you lose it, you won’t be able to redeem it. You can redeem up to 10 gift cards at a time. These gift cards are redeemable only through me, Diane Browning. These are not valid through any other Demonstrator or Stampin Up directly. I reserve the right to adjust the program as needed.